A natural disaster is a major adverse event resulting from natural processes of the Earth; examples include floods, volcanic eruptions, earthquakes, tsunamis and other geologic processes. A natural disaster can cause loss of life or property damage, and typically leaves some economic damage in its wake, the severity of which depends on the affected population’s resilience, or ability to recover. An adverse event will not rise to the level of a disaster if it occurs in an area without vulnerable population. 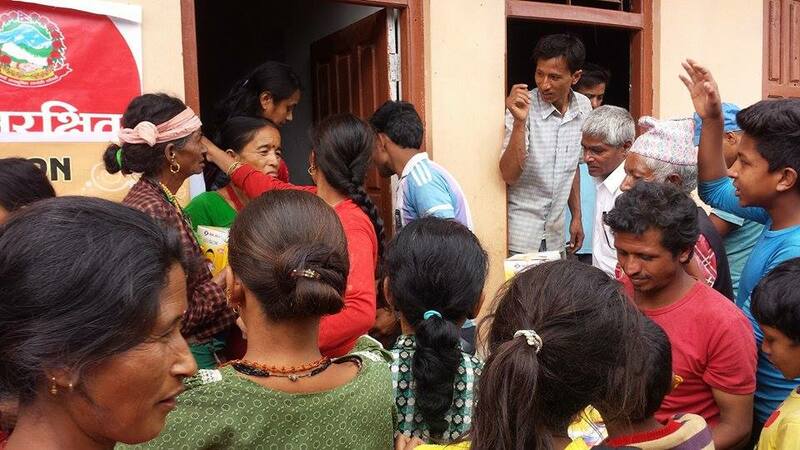 There is an urgent need to reach out to many more affected families during any calamity or any natural disaster. 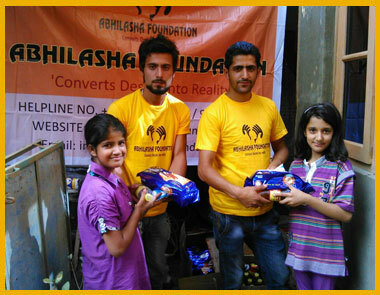 Abhilasha Foundation provides relief during any natural calamity. Women and children are the worst affected victims of natural disasters. Abhilasha Foundation works to ensure their right to survival and development after any calamity by providing them immediate support to the marginalized people. 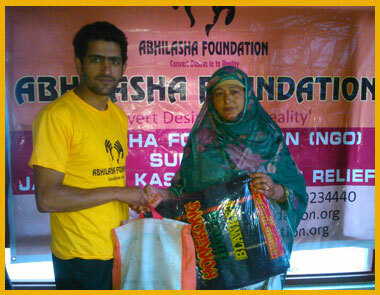 Jammu & Kashmir: Abhilasha Foundation supported more than 100 families during the calamity disaster in Jammu & Kashmir. 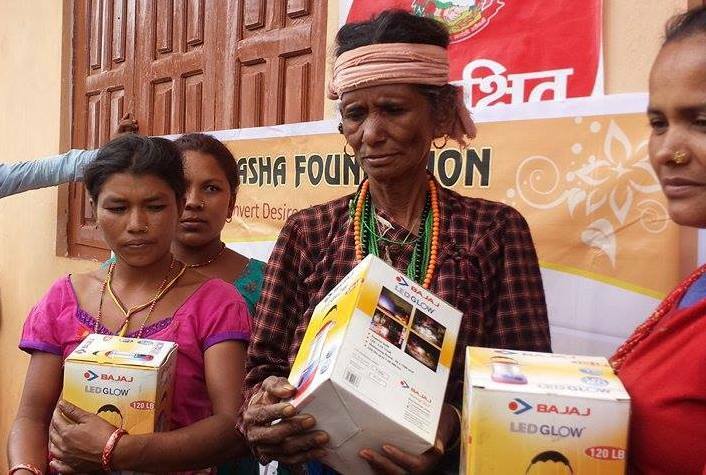 Nepal Earthquake:Abhilasha Foundation supported Nepal Earthquake victims by providing basic accessories to more than 165 families with emergency lights to Nuwakot- Village the most affected region of earthquake. 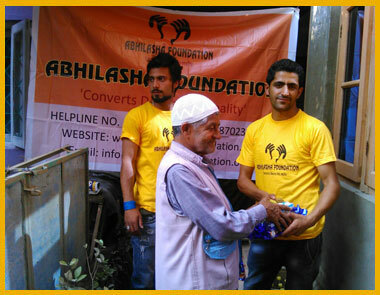 Chennai Flood: Abhilasha Foundation supported more than 100 Chennai flood victims by providing them general medicines.